BROUSSARD, La. (AP) — Vince Covello hit wedge into 5 feet for birdie on the 18th hole for a 3-under 68 to force a playoff, and made birdie on the 18th on the third extra hole to beat Justin Lower and win the Chitimacha Louisiana Open. Covello won for the first time in his fourth full season on the feeder circuit of the PGA Tour. He moves to No. 4 on the money list. Lower, who had a two-shot lead going into the final round, missed about a 20-foot birdie putt on the 18th in regulation for the victory. He closed with a 70. Covello and Lower finished at 19-under 265. Fabian Gomez of Argentina played early and shot a 62, finishing one shot behind along with Steve Marino (65) and Zhang Xinjun (68). Zhang was tied for the lead until he made bogey on the 17th hole at Le Triomphe Golf & Country Club. 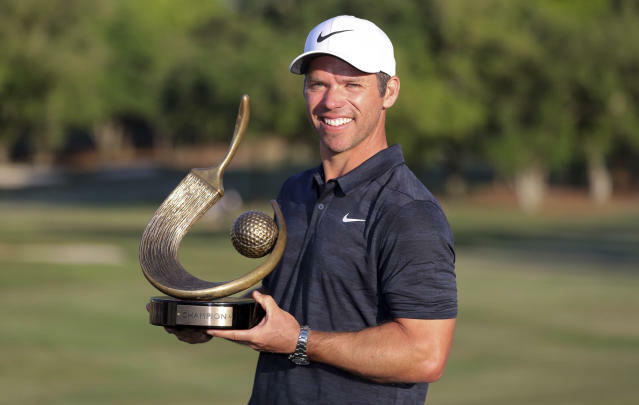 Jean-Paul Strydom rallied from a five-shot deficit by closing with a 6-under 66 for a one-shot victory in the Tour Championship at Serengeti Estates. 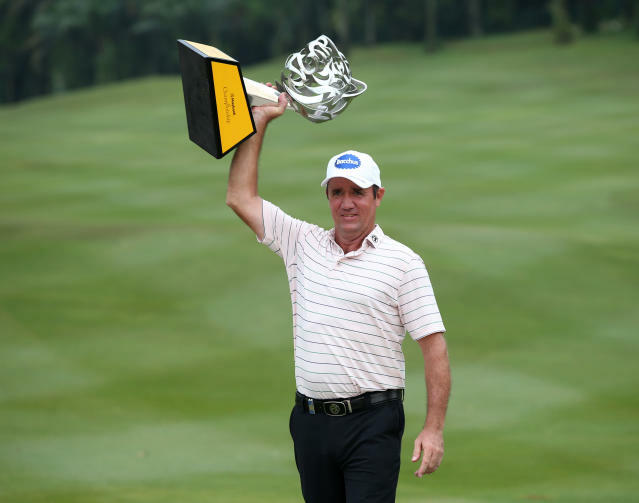 It was his first victory on the Sunshine Tour. ... Momoko Ueda had a third straight 2-under 69, giving her a two-shot victory in the T-Point Eneos Golf Tournament on the Japan LPGA.